“A Taste of Idaho Adventures” March 20-24 at the Idaho Horse Park at the Idaho Center in Nampa, Idaho. We are excited to welcome you to our semi-annual “A Taste of Idaho Adventures”, which introduces our visitors to the outdoor adventures available beyond the arena in beautiful Idaho! This is a great opportunity to bring our contestants into your establishment during their week long stay; while giving you the opportunity to reach local community spectators during this amazing event. GREAT prizes and give-aways! Visit each vendor on the “Adventure” and get a chance to enter for great prizes! Nampa Fire Fighters Annual BBQ for the Nampa Burn Out Fund, Shopping, Cutting Horse Entertainment. Rides in the Fire Truck Ladder Truck. Fun for the entire family for FREE. [nggallery id=5] “A Taste of Idaho Adventures” is FREE to the public and widely advertised in the Idaho Statesman, WOW Country 104.3 Radio, and through viral networking. 3K Ranch Events will be able to help you with this event and has done events for the Denver Broncos, Quaker Oats, and John Denver, just to name a few. We are excited to introduce Daren Mizner, with 3K Events as part of our team for the Idaho Cutting Horse Association. Daren has years of experience in bringing great shows to life. He can help you in designing a booth that will leave your customers talking about you for years to come. 3K Ranch Events can help you host your events also. They have a premiere horse facility and a 9,000 sq ft event facility that can be designed to host your wildest dreams! No event is too small or too large. The facility is located on the bench in the beautiful, rural area of Star, Idaho. Contact Daren at 208-407-8481 or email Daren to start your adventure. By joining “A Taste of Idaho Adventures” you will expose your business to not just our valued contestants, but to everyone in the Northwest. You will be recognized in our Idaho Statesmen tabs; produced twice a year, delivered to the Treasure Valley, monthly recognition in the Horse Sports publication, with a circulation of 100,000 contestants who come to the Idaho Horse Park. 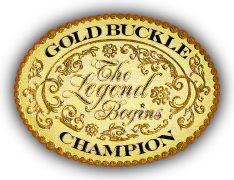 Click HERE For An APPLICATION to join our event, and be part of a Legendary Experience with the Gold Buckle Champions.